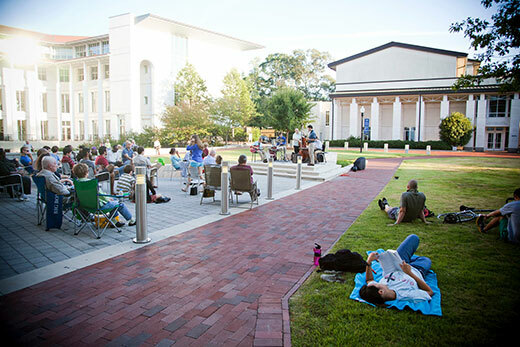 Spring is in full swing this month, bringing a variety of events and activities to Emory’s campus. Check out these 10 things to do in April, most of which are free. 1. Choose from a variety of musical genres at free concerts this month. 2. Diversify the films you see. 3. Travel abroad via photographs. 4. Experience music of Java and a traditional art of shadow puppetry. 5. Cheer on the Eagles in baseball, softball and tennis. 6. Exercise your software muscle. 7. Celebrate birds across the arts. 8. See an original performance exploring a famous book of poetry. Nochera: An Evening of Lorca’s Ballads brings to life Spanish playwright Federico Garcia Lorca's most famous book of poetry, “Romanceros Gitanos.” The devised piece, to be performed at the Campus Life Pavilion on Tuesday, April 16, at 7 p.m., will be a multilingual tribute to the people and plains of Andalucia, Spain. This combination of movement and text explores the themes of nature, culture and death in Garcia Lorca’s poems. Attendance is free, and parking is available near the pavilion. 9. See rare books and book-related items owned by Emory. 10. Enjoy AntiquiTEA and scones at the Carlos Museum.